In my job as a private investigator and physical security consultant I am sometimes asked to not only find out who is responsible for a criminal act, but also make recommendations on how to improve security so future criminal acts can be deterred. The facts of a recent case: Client owned a mobile maid service providing residential cleaning services for affluent homeowners who just do not have enough time and/or the desire, to clean their own homes. At the end of each workday workers parked the company vehicles in an un-gated lot next to the company office. Overnight all 12 of the locked vehicles were “broken into.” There were no signs of forced entry – no smashed windows, no jimmied locks, no scratches or pry marks on doors – nothing indicating how the thieves gained entry into each vehicle. Unfortunately this company had no security cameras so video of the thieves was unavailable. Local police were stumped. The responding officer suggested that maybe the employees just forgot to lock the vehicles or some sort of master key was used. The officer took a report and that was that. In investigating this case I learned that after parking their vehicle at the end of a workday, the employee would put the key on a key peg-board in the manager’s office. There were no keys that were unaccounted for. As part of the investigation I contacted all business owners within a five-mile radius and discovered several other instances where thieves entered parked vehicles during the dark of night without any signs of forced entry. In most of these instances there was nothing of real value in the vehicles for the thieves to steal. Mostly the thieves just rummaged through the vehicles and took small items like loose change, sunglasses, and in one case a pair of used athletic shoes. During my five-mile neighborhood canvas I found video of the thief in action. This video was captured by a business across the street and only captured a peripheral view of the incident so the images were not very clear but you could see that the car prowler appeared to be using a small electronic gizmo that he held in his hand. This device electronically opened the car doors without the car prowler even touching the vehicle! I suspected the thief was using some type of power amplifier to detect and amplify car key signals from keyless key fobs stored nearby. Sure enough, when I went back and asked every victim where they kept their key(s) when the illegal entry occurred, all of them kept their key fobs within about 30-40 feet of their parked vehicle. This was close enough that a power amplifier could be used to “hijack” the electronic signal emitted from the wireless key that you normally use to remotely open your vehicle’s door. Many vehicle keyless entry systems are proximity-based where the fob broadcasts an electronic signal to unlock the vehicle doors. In simple terms, a power amplifier essentially seeks out electronic keys within a specific distance (sometimes up to 50 feet) and amplifies or “boosts” the signal and relays the electronic signal that unlocks the vehicle door. If your vehicle has a “Smart-Key” entry system, a technology savvy car prowler can now unlock your vehicle door silently and without even touching the door! If you search the Internet hard enough you can find power amplifiers readily available for purchase – no questions asked. 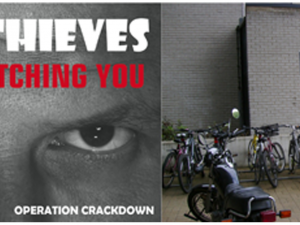 Technology is constantly evolving and crooks are always finding new ways to steal. For those of us who are security professionals, the challenge is to stay one step ahead of clever crooks. 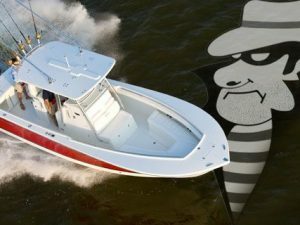 But because of the ever-evolving nature of crime and the proliferation of high-tech gizmo’s that help criminals be better crooks, this is often just an “aspirational” goal. However, there are some simple measures you can take to make it more difficult for a crook to hijack your electronic vehicle key signal. Shielding vehicle keys is an effective countermeasure against electronic key attacks. Storing vehicle keys in a Faraday cage prevents the communication between the key and the car at all times except when the owner wants to unlock the car. A Faraday cage is a box made of material that blocks external static and non-static electric fields. In the case of the cleaning company, I advised the business to store all vehicle keys in a Faraday cage. I also recommended fencing the parking lot and installing security cameras. 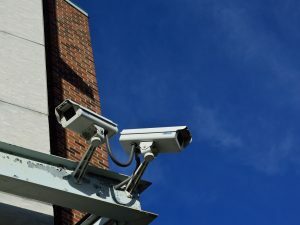 The security cameras may have limited deterrent effect (see my previous article: What Good are Security Surveillance Cameras? 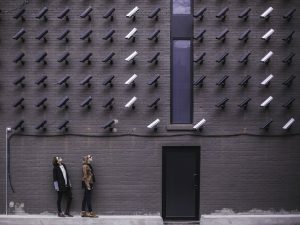 http://physicalsecurityonline.com/what-good-are-security-surveillance-cameras/) but they greatly help in investigating an incident. In a pinch a microwave can serve as a very effective Faraday cage. Storing vehicle keys inside a microwave might be a little inconvenient (and might ruin your microwave if you forget and microwave your keys!) but I have heard of people doing it, especially when no Faraday cage is available. An alternative would be storing your keys in your freezer. Removing the Battery from the key is an effective countermeasure against relay attacks. By removing the battery that powers the key it disables the active wireless communication abilities of the key. I suspect this is an inconvenience that not many vehicle owners will want to routinely do. All security solutions are designed to defend against anticipated attacks but cannot defend against all possible intrusions. There is always someone willing to spend the time, effort, and money to defeat any security system. That being understood, this does not mean that one should do nothing. Only a fool would leave here home doors unlocked just because some burglar might have locksmith skills capable of picking their door lock. Becoming aware of security vulnerabilities and using a layered security strategy consisting of multiple levels or layers of security – i.e., Faraday cage for key storage, audible vehicle alarm, vehicle steering wheel locking device, and security fog, offers the best defense against clever crooks.